Sightseeing in private air-conditioned vehicle as per the itinerary at Port Blair. Sightseeing in private Non air-conditioned vehicle as per the itinerary at Havelock Island. Full day tour with all transfers including airport pickup and drop. Entry permits, entry tickets, ferry tickets and forest area permits wherever applicable. All kin of transport and luxury Taxes. Daily Breakfast for 06 occasions (6 Nos). Assistance at all arrival and departure points. All other specified expenses and activities. Day 1: Arrival at Port Blair Airport & move to the hotel with our envoy. After lunch start the breathtaking trip to Corbyns Cove Beach, one of the most picturesque, coconut palm fringed beach, 7 kms away from Port Blair town, and to the Cellular Jail, a place of pilgrimage for all freedom loving people. One can also view the history of the heroic freedom struggle which is brought alive in a moving Light & Sound Show at the Cellular Jail. Day 4: Entire Morning at leisure. After checking out from the Resort by 1000 hrs, leave your baggage at the Reception of the Resort and proceed to Kala Pathar by road. 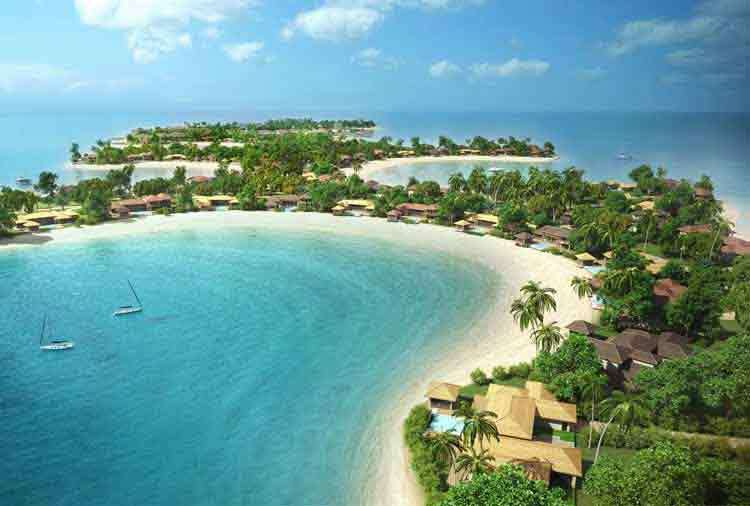 Get a glimpse of various Resorts & Dive centers enroute. Return back to your resort for lunch. Sail for Port Blair in the evening. Upon return from Havelock Island overnight stay at respective Hotel at Port Blair. Day 5: P roceed to Ross Island, the erstwhile capital of Port Blair during the British regime. The island presently houses the ruins of old buildings like Chief Commissioner’s House, Government House, Church, Bakery, Press, Swimming Pool, Cemetery, etc. and all in dilapidated condition. Day 6: The day’s program begins with the sightseeing tour in and around the city like Fisheries Museum (Aquarium) - exhibits species of marine life peculiar to the islands, Anthropological Museum - displays tribal essential and artefacts’, Naval Marine Museum (Samudrika) - gives a good retrospect of the history, shells, Corals marine life, geography and archaeology of these islands. After lunch proceed to Chidiyatapu – famous for lush green mangroves, forest cover with numerous chirping birds and Sandy beach (Known as the Sunset Point). Evening is free for shopping. Rates not valid during conventions and special events.